The Beach Volleyball Team Netherlands (BTN) has parted ways with 22-year-old blocker Tom Van Steenis. He and teammate Ruben Penninga recently finished 2nd at the Dela Eredivisie Beach tournament, Netherlands‘ National Beach Volleyball tour. Despite their strong finish, national coach Gijs Ronnes made the tough decision. Van Steenis has played for BTN for several years spanning international youth tournaments, both the European and World tour, and in the Dela Eredivisie Beach tour where he was named the “Rookie of the Year” in 2017. The six-foot-six blocker played mostly with teammate Jasper Bouter since competing in a U19 tournament together in August of 2014. Van Steenis played almost every tournament with Bouter from 2014 until May of 2017 when they were split up by a coach. Van Steenis was paired up with Ruben Penninga in June of 2017. Playing together, Van Steenis took home more prize money than in any other year of his career. 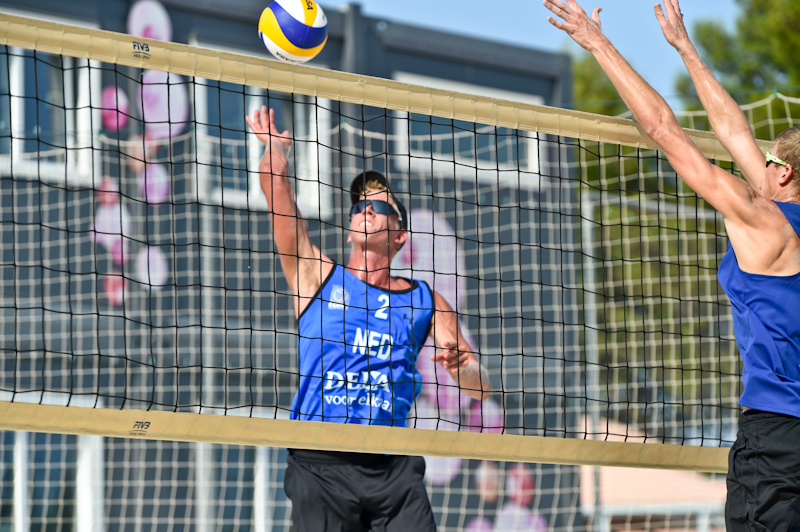 After finishing 2nd in the Dela Eredivisie Beach tournament with Penninga, the pair qualified for the Round of 32 at the Montepellier stop of the FIVB World Tour 1*. The news of the split between BTN and Van Steenis happened just after their performance in Montepellier.